On Thursday afternoon I was joined on my campaign trail by James Elles MEP, as well as fellow Councillors Azam Janjua & Isobel Ballsdon. This photo is taken with Newtown resident Nigel Quelsh who was very keen to show his support for my campaign. 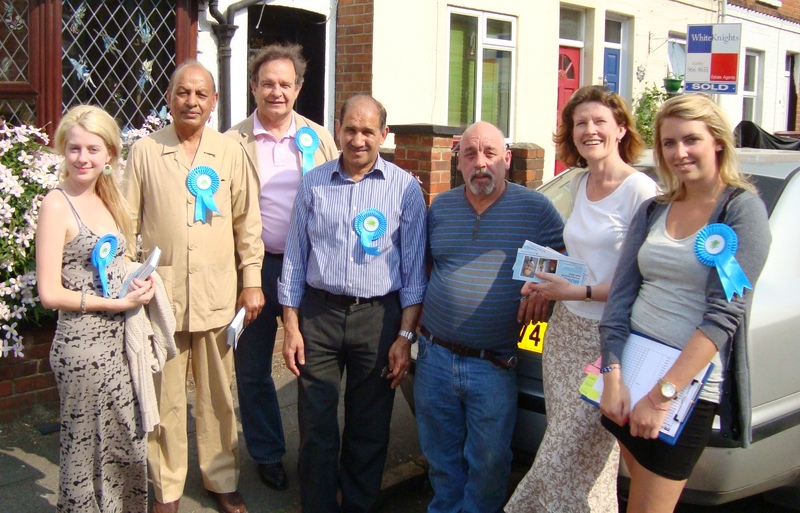 This entry was posted in Miscellaneous and tagged Cllr Azam Janjua, Cllr Isobel Ballsdon, James Elles MEP. Bookmark the permalink. Who will the Greens choose to support? Promoted by Wazir Hussain on behalf of himself and printed (published) by wordpress.com who are not responsible for any of the contents of the site.